On January 31st, the City Manager and Police Chief made a joint statement in response to the Santa Ana Police Department’s (SAPD) request to destroy police records. In their statement, SAPD Chief David Valentin stated that the destruction of police records is a “routine process,” and not a response to any recently enacted legislation or requests regarding record releasing (1). Regardless of city policy or SB 1421, the public has a right to know the full scope of their police department misconduct. The City Council must act in response to what the community requests’— the release of these police records. Despite the pervasive efforts to destroy police records by other law enforcement agencies, some councils have allowed the release of them. Last Thursday, January 31st, the Berkeley City Council decided that newly state law SB 1421, should apply to all records predated January 1st (2). This response came one day after the ACLU and news source Berkeleyside sued the city over its refusal to release the records. On January 28, the City of Anaheim underhandedly allowed the access to police records with a heavy price of $17,920, still hiding behind their fees (3). The release of these records was in response to the mass request and demand from the public, not “well-established” policies. Santa Ana demands the same. 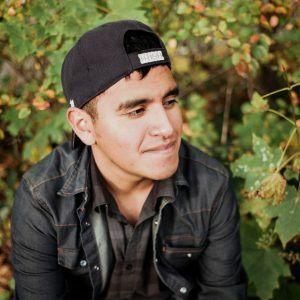 Santa Ana’s public petition to release the records has picked up momentum, gathering over 300+ signatures and growing while being shared through social media. The ACLU has voiced their support, releasing a letter sent to the Santa Ana City Council demanding the preservation of the records. If the city authorizes immediate destruction of these records, ACLU SoCal stated they “may be required to file suit against the City to prevent any authorizing action by the City Council from taking effect” (4). We agree with the ACLU, and have hope the council will be in support of record preservation. 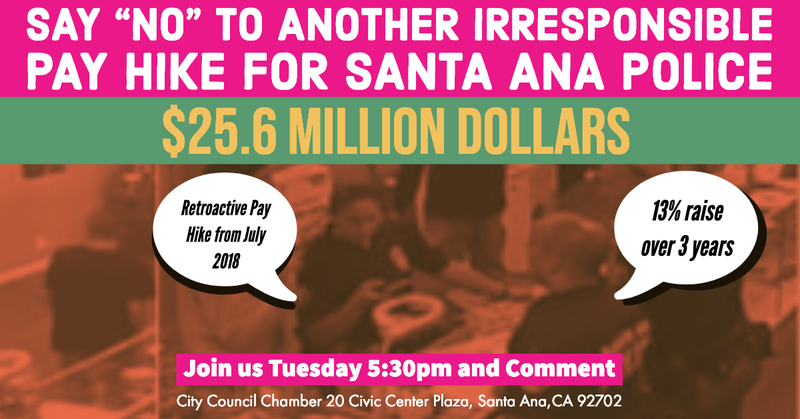 While the Police Department and City Council move towards record destruction, Santa Ana Police Officers Association (SAPOA) is pushing an irresponsible new contract onto Santa Ana taxpayers. The City Council will be voting this Tuesday, February 5th, on a new Memorandum Of Understanding between the police department and the City of Santa Ana. This new MOU is composed of a $25.6 million wage and benefit increase (5). According to former council member Michelle Martinez, this MOU would not make our city safer. Instead it will provide raises to current officers, which would be funded by allocated funds in the budget, resulting in officers retiring at a faster pace. It would increase the pension unfunded liability, and impact the city General Fund budget by $25.6 million (6). Our city’s resources should not be invested in an enforcement-first strategy based on satisfying police union interest, but one rooted in community and proven alternatives to incarceration, enforcement, and the failed tough-on-crime mentality of the 1990s. The SAPOA continues to use our city council as a fickle bank with full loyalty to the union, despite being on the verge of bankruptcy. Santa Ana voters approved the highest sales tax in the county at 9.25% this past November through a ballot measure, due to the financial crisis in maintaining current personnel and city services. This fiscal year, our city is facing a $10 million shortfall, estimated to hit $40 million by the 2021 fiscal year (7). Our city council should not continue to place a high priority on the police department while ignoring the extensive track record of police misconduct cases and the dangerous financial situation that arises from their constant demands for pay raises. The SAPD’s injustices against our community should not be political tokens for their vicious budget upgrade. The Santa Ana City Council needs to support, represent and serve the public’s interest, and cease to be a detrimental force towards it. Accordingly, the Council must reject both measures. A multimillion dollar wage increase paired with record destruction does not create nor sustain the community’s trust— they shatter it.